Mrs. Jelena Pušac-Broćilović was born in 1983 in Banja Luka. She finished Gymnasium of Banja Luka. 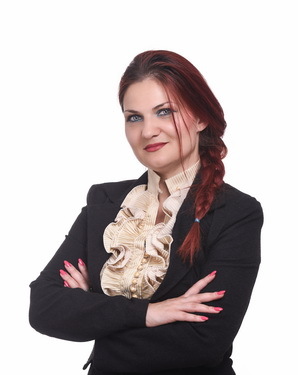 After she graduated from Faculty of Law at University of Banja Luka in 2008, she started her law career as trainee judge at the District Court in Banja Luka. In 2010, she successfully passed the bar exam at the Supreme Court of Republika Srpska. During the 2010 she was working as professional legal advisor in Law Office of Zoran Kisin, Attorney at Law from Banja Luka. At the and of 2010 she started to work in the Enterprise for Postal Traffic of Republic of Srpska as legal representative, where she works today. Between 2012 and 2015 she worked as a legal consultant of the Law Office of Goranka Marjanac, Attorney at Law from Banja Luka. In law office JP Law Office assumes the position of legal consultant since the establishment of this office in 2014. In 2016 she became Brand manager in agency Mosaic of medical communications Banja Luka, where she continues her prospering in marketing and market economy. She is fluent of english.